Proudly hand crafted in Ridgeland, South Carolina, USA, by a team of veteran drum builders, Gretsch Brooklyn has a sound that is at once recognizable and essential, yet distinctively reinvented. The Gretsch drum design team molded the Brooklyn series by combining classic Gretsch elements while infusing it with new attributes. They expanded upon traditional drum designs to shape a sound that retains fundamental Gretsch characteristics while projecting a fresh voice. 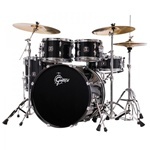 At a time when Retro is as hip as ever, Gretsch embellishes the retro vibe by offering a true new professional drum set in the New Classic series. 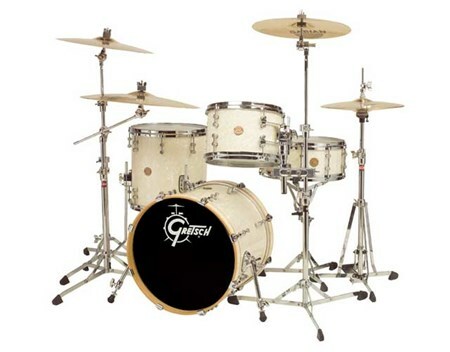 Featuring proportionate Gretsch-formula maple shells, this drum-set produces a vintage Gretsch tonality while giving these drums their own distinctive sound. Proportionate shells increase in thickness as shell diameters increase to give a full, balanced tonality across the entire drum set. Classy appointments include vintage styled tube lugs, the very low mass “ITS” integrated tom suspension system and 9025 hinged tom and floor tom leg brackets. Retro looks combined wtih hip innovations...a true New Classic. 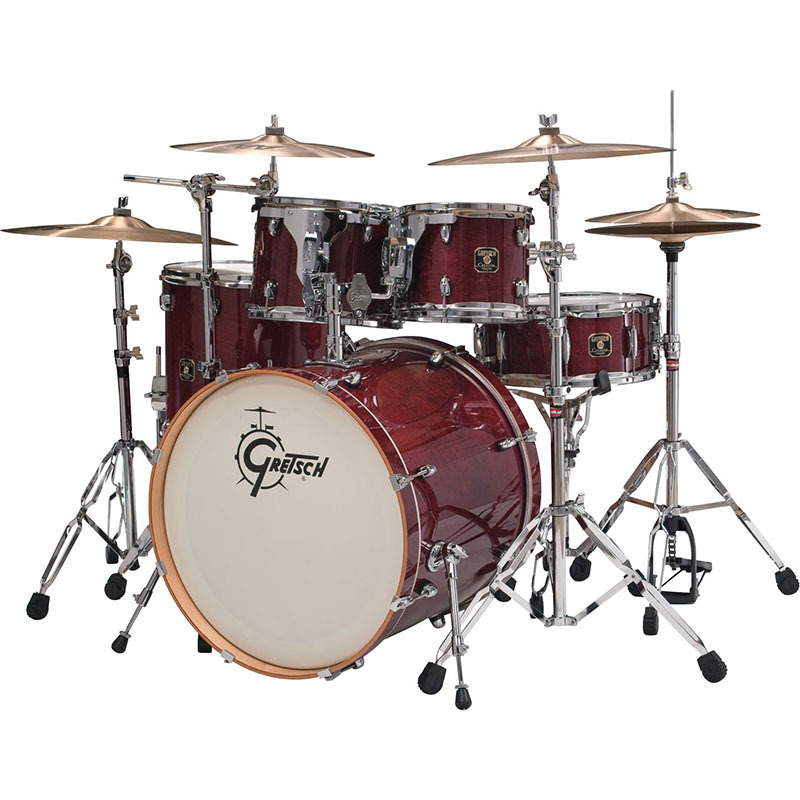 The new Catalina Maple series starts with the Gretsch maple formula shell. We carefully developed the maple shell specification to produce tones that explode with attack and volume and project a balanced amount of warm, low-end frequencies. 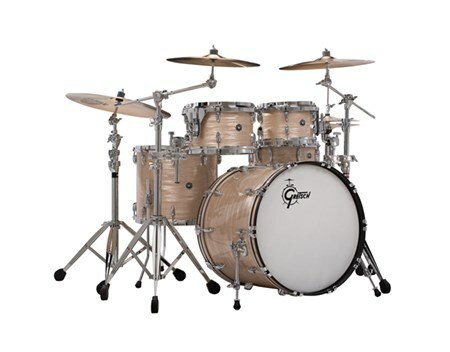 All Catalina Maple shells are 7-ply, 7.2mm. We equipped the shells with “Gretsch Classic” features and hardware, including 30-degree bearing edges, fully-adjustable Gretsch ball-and-socket tom holder with 12.7mm tom arms, 9020-style mounting brackets and our famous 5-lug configuration (a standard Gretsch feature for over 50 years) for all 10” / 12” toms. 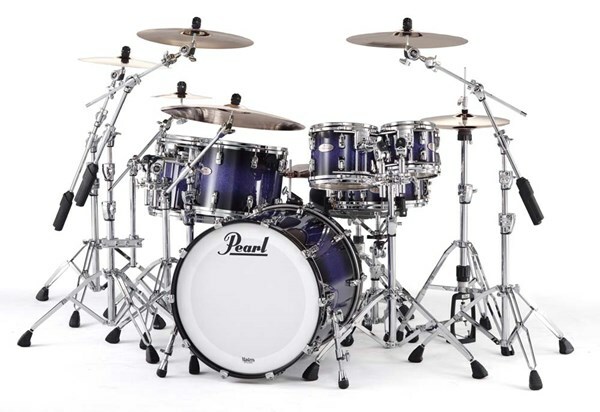 All drums feature a multi-step lacquer process that produces an extremely glassy-smooth finish that is hard and durable. In addition, we partnered with Evans? drum heads to produce a distinctive “Gretsch by Evans” batter and resonant head combination. 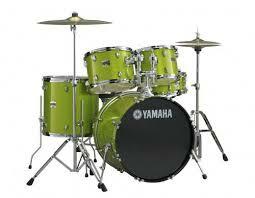 Drums are easy to tune and produce full tones right out of the box. The new Catalina Maples are available in two configurations – a 6-piece shell pack set and a 5-piece shell pack set. 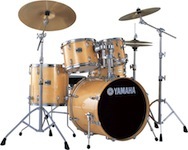 Add-on drums are also available to allow for further drum set expansion. พร้อมชุดฉาบ Ziljdjian ประกอบด้วย Hi-hats, 16" Crash 20"
Borrowing from our legendary Recording Custom drum sets, the world-famous Yamaha birch sound is now available in an affordable package. From the YESS mounting system to the tom ball clamps to the rich lacquer finishes, the Stage Custom Birch encompasses value, quality, and craftsmanship. -Bass Drum (RBD522) 22" x 16"
-Tom Tom (RTT512) 12" x 9"
-Tom Tom (RTT613) 13" x 9.5"
-Floor Tom (RFT616) 16" x 16"
-Snare Drum (RSD1455) 14" x 5.5"